Our customers mean a lot to us. It is never lost on the MeloTel team that without the support of the many amazing business owners across North America who make up our customer base, we would have no company to run. It’s also not lost on us that each and every one of our clients has taken a chance. 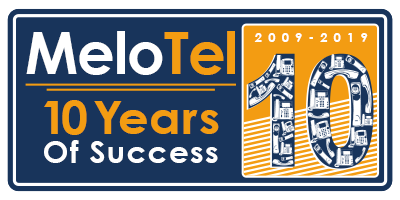 As a smaller telecom provider, MeloTel is a company that many of our clients admit they never heard of until it was recommended to them. Recommendations and referrals, quite obviously, are big reasons why our company has been able to grow so tremendously in the nearly ten years it has existed. Knowing this, we put great emphasis on regularly strengthening our customer relationships. We do that using a very simple method. We keep in touch. It helps you to discover what your customers really want. Our team can confidently state that we know each of our clients by name. Unlike a major corporation, MeloTel is able to provide each client with personalized services because our team knows their specific needs and regular requests. This is what makes keeping the lines of communication open so important. By staying in touch, we know what makes our customers tick. By staying in touch and concentrating on building your customer relationships, you also give your business the opportunity to welcome new customers. Word-of-mouth promotion simply can’t be beat. When you have happy customers, they will be quick to tell their families and friends about their experiences with your brand. As Gentian Shero points out on SheroCommerce.com, it’s all about trust and establishing your credibility. Be sure to stay in touch while you’re on the go! If you’re an entrepreneur who regularly works from remote locations, you may find it hard to be as accessible as you like to your customers. However, there is a way to keep your business phone with you at all times! You don’t have to remain in your office in order for your customers to access you using your business line. With MeloTel’s cloud-hosted Commercial Phone Services, you can take advantage of Single Number Reach. With this service, you can have your business phone number forwarded to up to five different devices that will all ring at the same time when the number is called. With Single Number Reach, you’ll never miss another important call again! For more information, please don’t hesitate to contact us at 1-888-MELOTEL or use the Live Chat feature on our website!